Led visual design across multiple channels as Lead Designer at Sincerely, Inc. for e-commerce gifting app, Sesame. 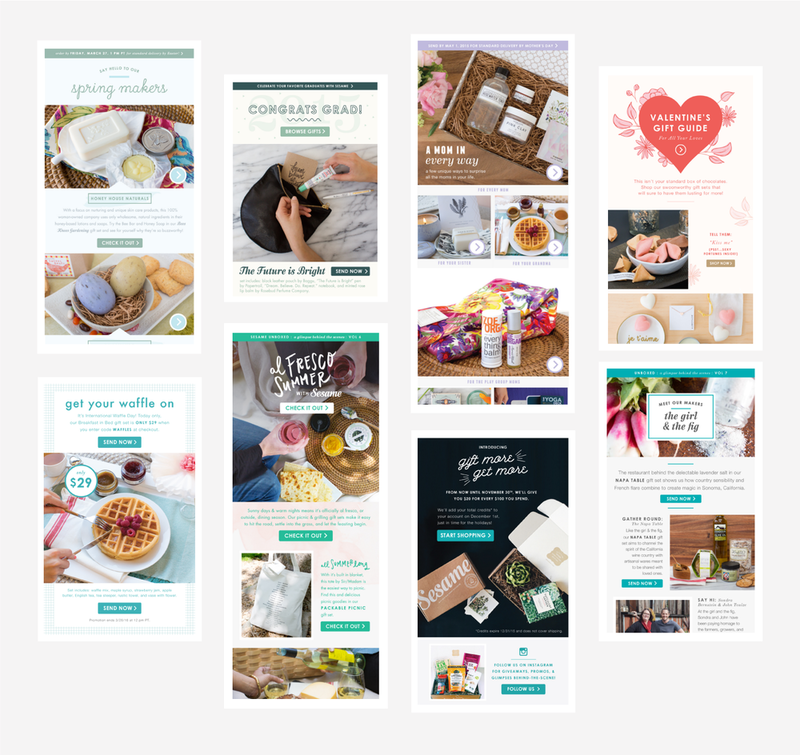 Visual design included branding, marketing collateral (email design, social ads, web assets), web design, gift box packaging design refresh, and art direction of photo assets. 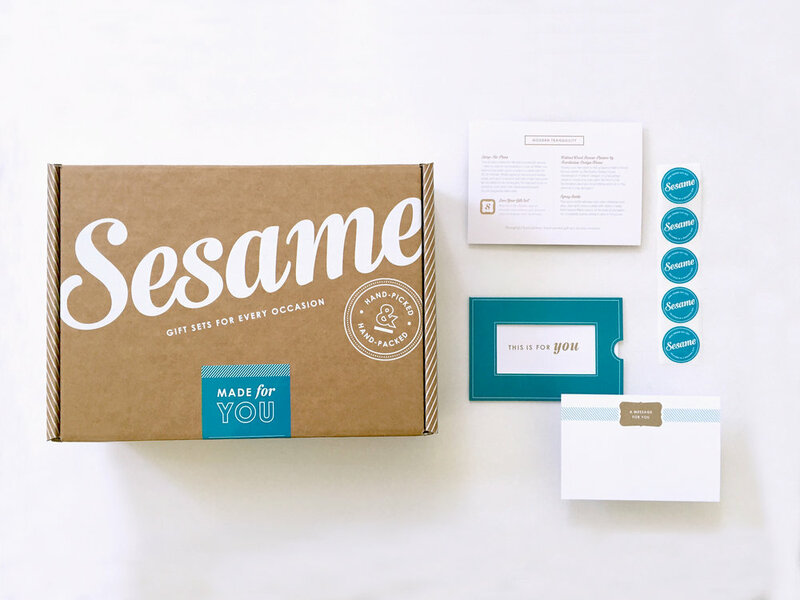 With the goal of creating an easy way for customers to send thoughtfully curated gifts to friends & family, I captured the fun-loving spirit of the Sesame Gifts brand with playful, bright, and bold visuals. Packaging design featured on The Dieline and Lovely Package. 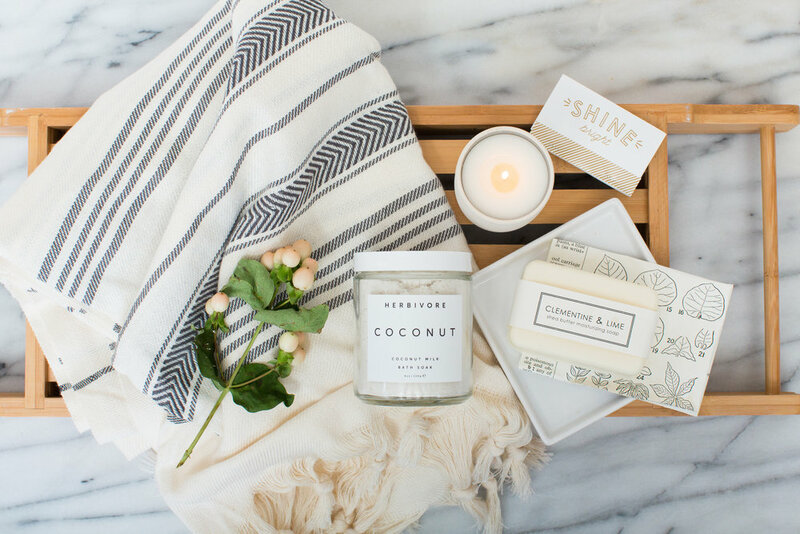 Aimed at providing an over-the-top unboxing experience, designed the Sesame gift box to reflect the fun, exciting experience of receiving a surprise at your doorstep, while also showcasing the gorgeous, artisanal products featured in the curated gift sets. 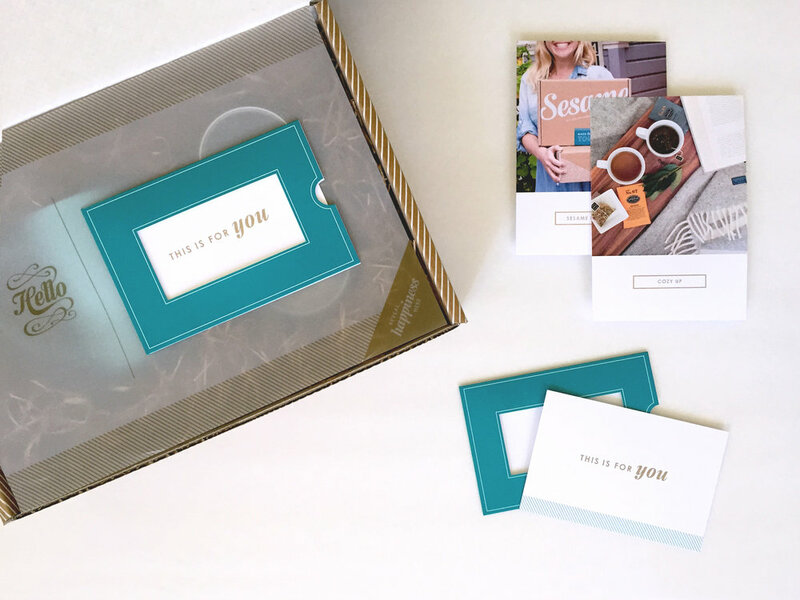 Conceptualized and executed the design of all gift box components from start to completion, including the gift box, in-shipment pieces, greeting card, and stickers. 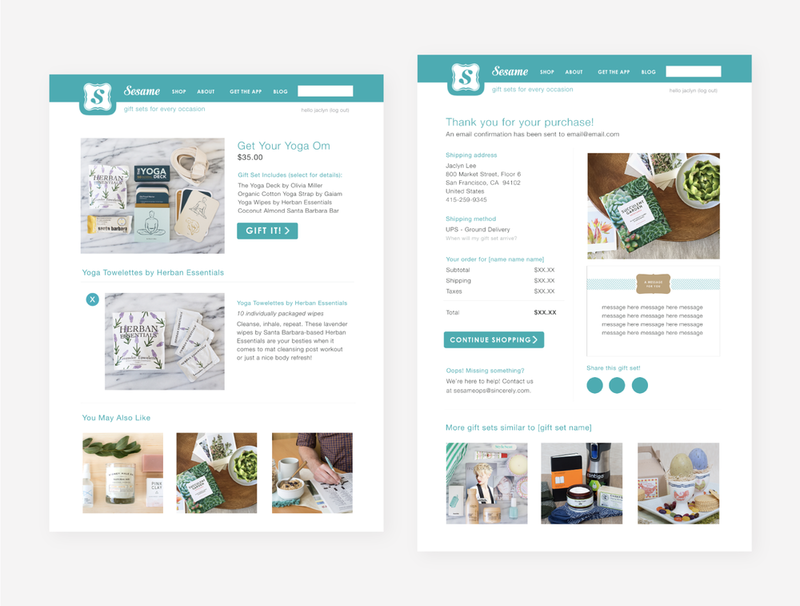 A selection of email marketing designs created to promote new and existing gift sets and to increase brand awareness. Collaborated with the Engineering team to develop and design the product detail page and order confirmation page for Sesame Gifts. 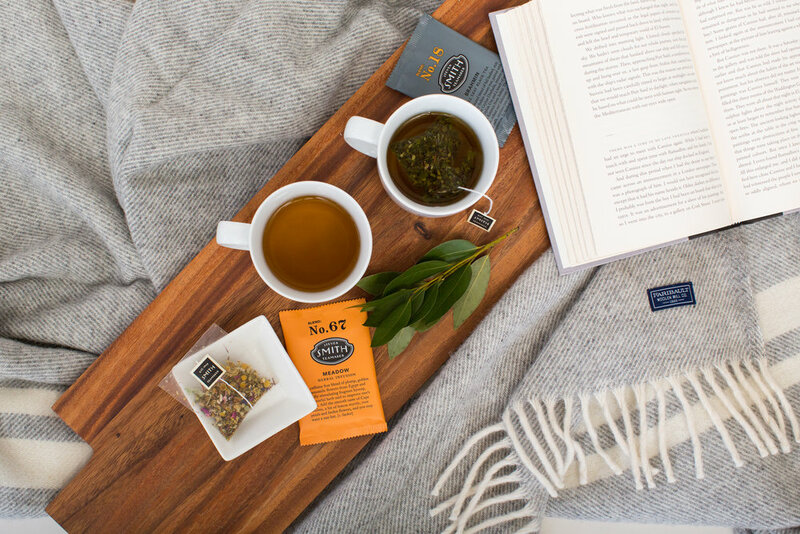 A selection of brand and product imagery styled for Sesame Gifts in collaboration with the Head of Marketing and photographer, Steph Hua.